Bloomsburg University of Pennsylvania will make history as the Walnut Street Theatre opens its first national tour in a 202-year history with two performances of “The Glass Menagerie” Feb. 10 at 7 p.m. and Feb. 11 at 8 p.m. in the Kenneth Gross Auditorium in Carver Hall. Hailing from Philadelphia, The Walnut Street Theatre will be traveling to 18 venues across six states in its tour, the first stop being at BU. 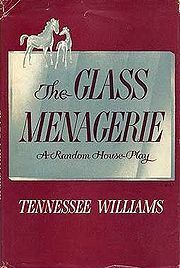 Considered one of Tennessee Williams’ first successes, his autobiographical play “The Glass Menagerie” is a tale of the Wingfield family. Told through actors Damon Bonetti (Tom), Jared Michael Delaney (Tim), Jillian Louis (Laura) and Wendy Scharfman (Amanda) the strained relationships between the characters are encased in themes of the power of memory and inescapable reality, for which Williams is most known. Originally, orchestral music married to the lines of play writes were not the first sounds to be heard in the theater. In fact, it was the pounding of hooves mingled with the shrieks of delight from the crowd as teams of horses circled a dirt riding ring. The building first opened as an equestrian circus in 1802. However, by 1812 the building had become a fully functional theater with a stage where the ring had once stood. The company’s first theatrical production, “The Rivals,” had President Thomas Jefferson and American General, the Marquis de Laffyatte in attendance. Since then the theater has jump-started careers of big names like, Marlon Brando, Sidney Poitier and Katharine Hepburn. Now, the famed theater is bringing its history and talent to BU. Amanda Wingfield – The mother of Tom and Laura and often digresses back to memories of her former days on the southern plantation farm and her night with 17 gentleman callers. Laura Wingfield – The crippled and very shy daughter of Amanda who keeps her hard pressed to finding a husband. Tom Wingfield – As Laura’s sister, he is also pressed by his mother to find his sister a gentleman caller, and to keep the job at the shoe factory to support the family. Jim O’Conner – A friend of Tom from the factory who Tom invites to dinner and Amanda treats as Laura’s first gentleman caller. 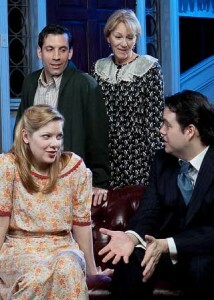 Mr. Wingfield – Amanda’s husband who deserted the family about 16 years ago and is only seen in the play as a large photograph hung on the wall, but he is often referred to.